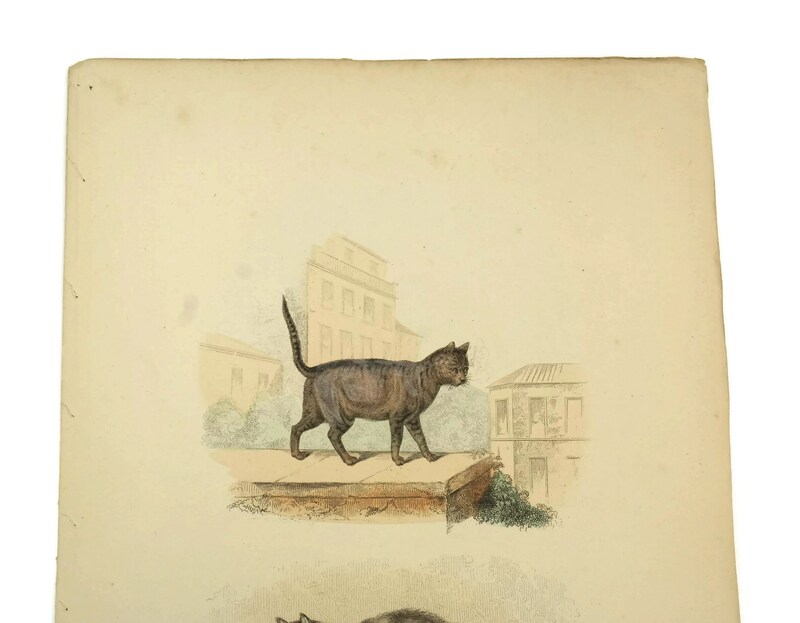 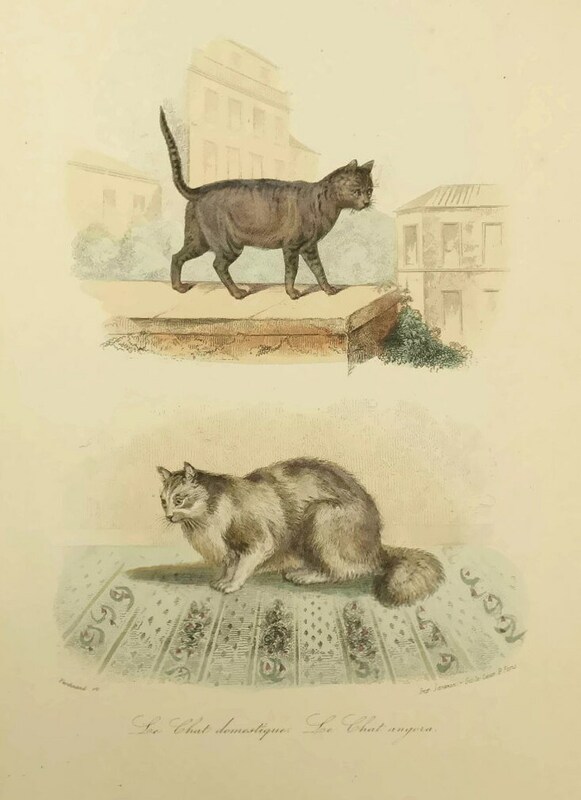 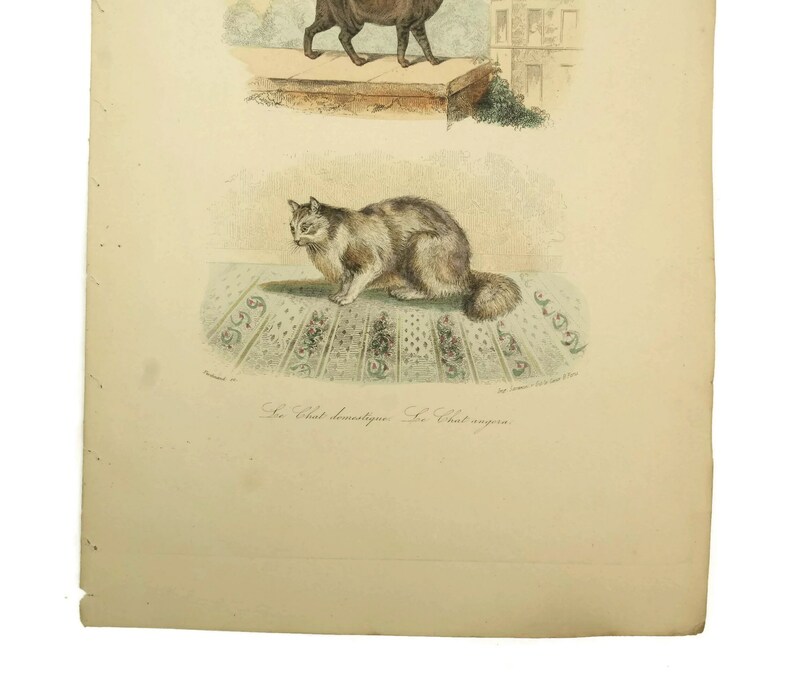 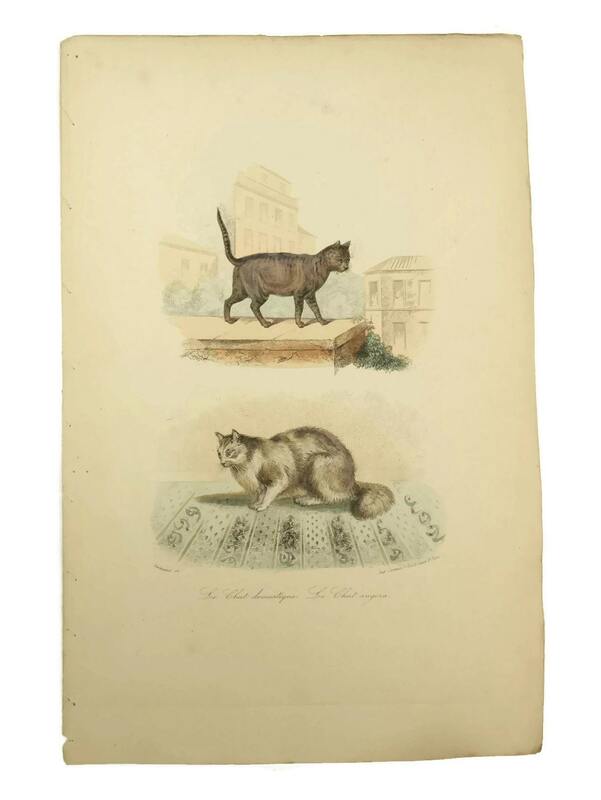 A beautiful antique French cat art print from an antique 19th century book of animal natural history. 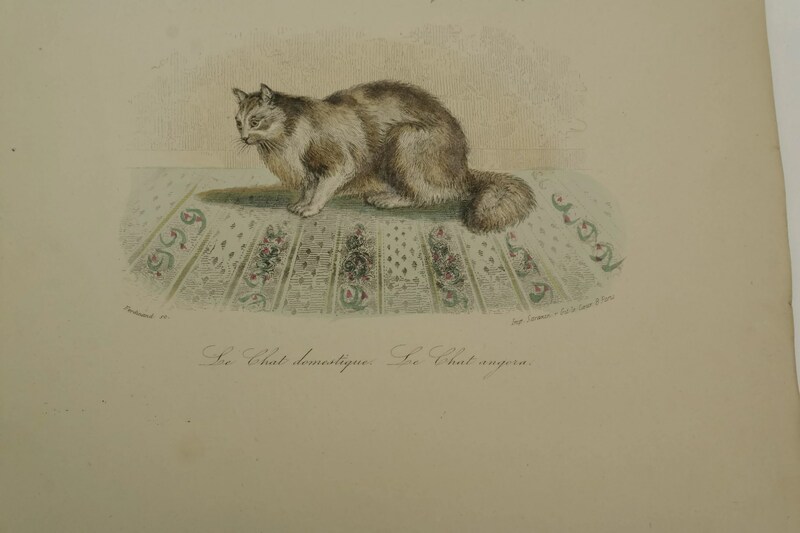 The engraving features domestic and angora cats that have been hand colored and titled in French. 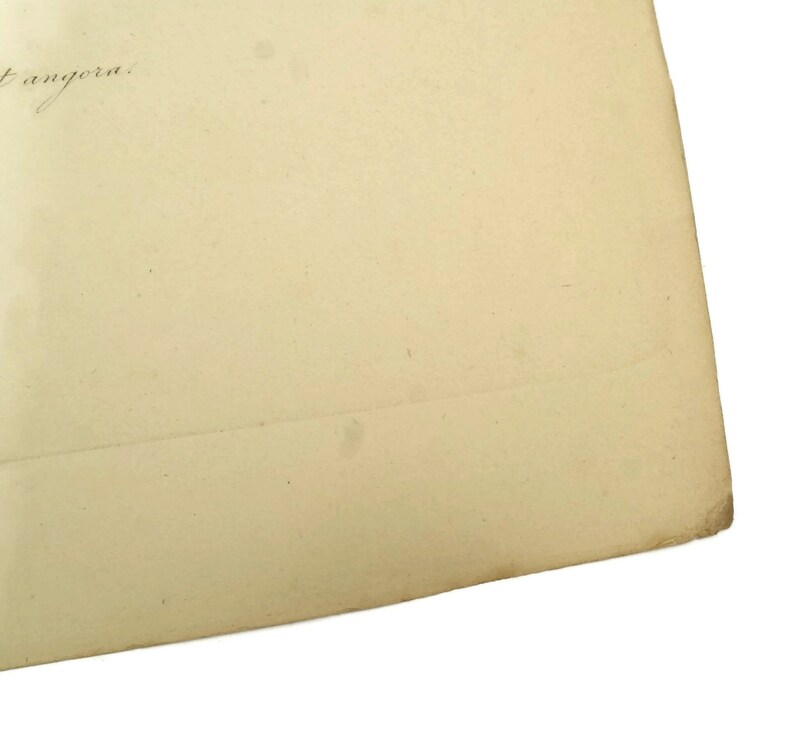 The names of the artist and publisher have been printed on the sides of the illustration. 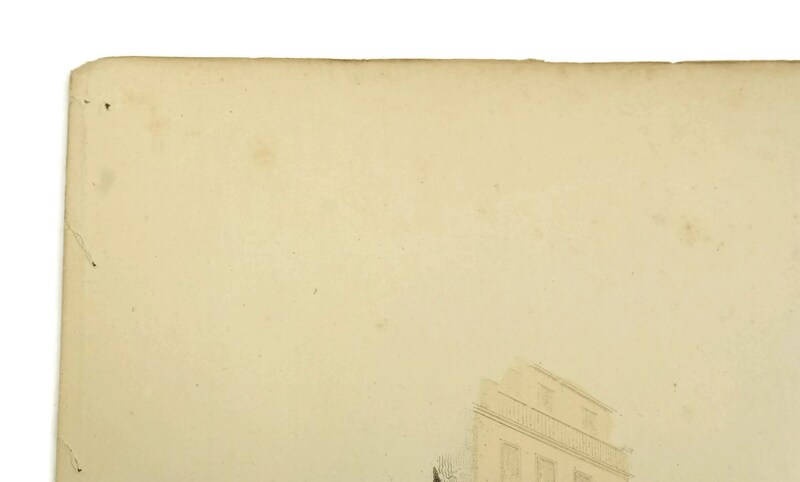 The print is ready to be framed. 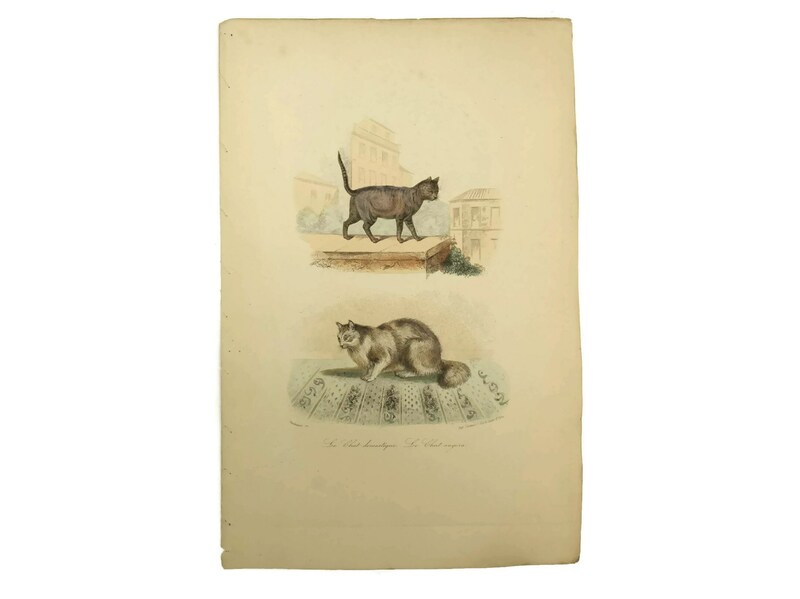 It will make a great git for any cat lover. 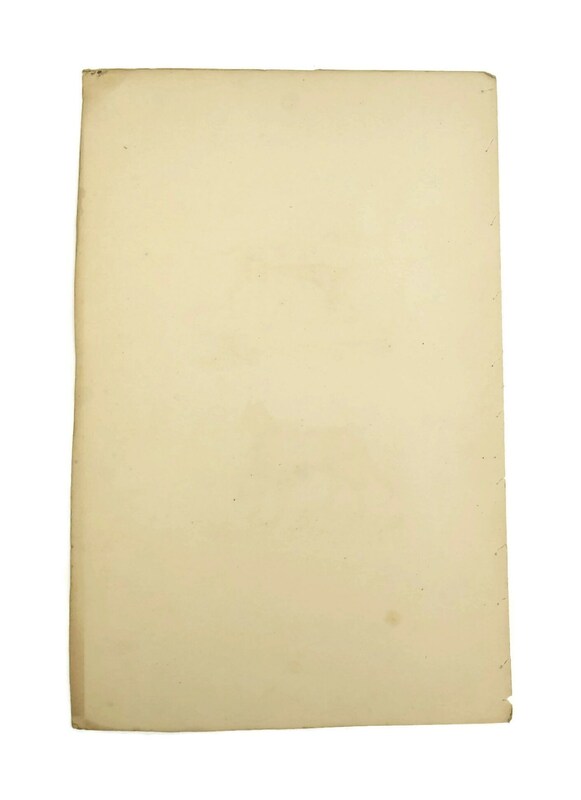 (27 cm x 18 cm). 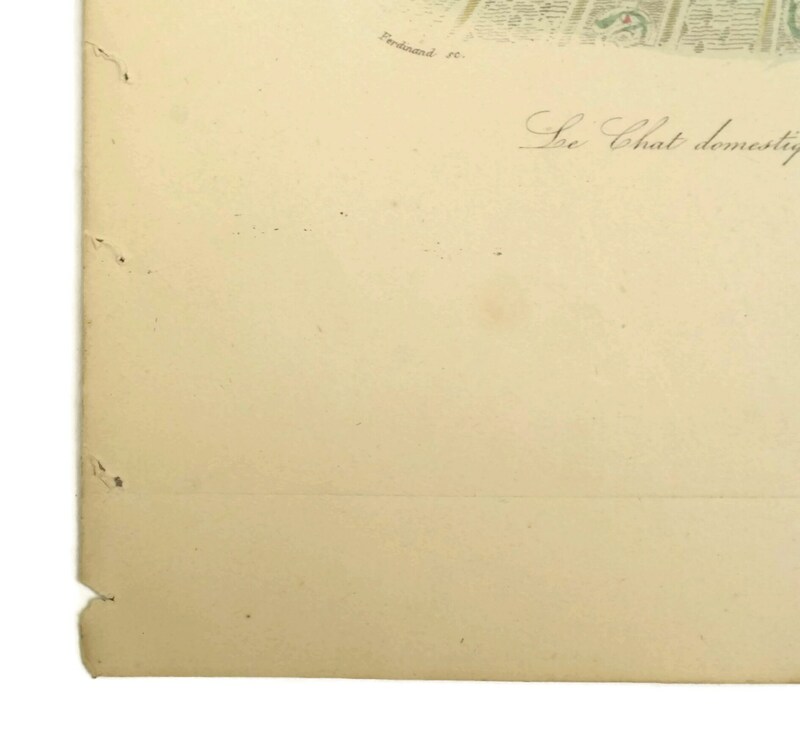 The antique engraving print is in good condition with light signs of age including wear and marks to the paper in places.